When recruiting, we put emphasis on getting to know both the recruiting client and the candidates. Alongside the necessary expertise, we underline the candidate’s fit to the company, its people and culture for a great match and smooth collaboration from the get-go. The DISC-based team trainings are tailored to the client’s needs and can focus on e.g. developing the team’s sales skills or overall dynamics. The trainings increase the participants’ understanding of collaboration between people, and lead to better business results and improved work satisfaction when the findings are put into action. Satisfied clients and successful long-term recruitments are our most important goals. With us you will find a HR partnership based on quality, reliability, speed and flexibility. Adiente has been a member of the Finnish Private Employment Agencies’ Association, and via that a member of the Confederation of Finnish Industries EK, as well as The World Employment Confederation, since the start in 2005. We comply with the General Terms and Conditions for the temporary agency work industry and the General Terms and Conditions for recruitment within the temporary agency work sector. Adiente has also been an authorized staffing company since 2011. The Finnish Private Employment Agencies’ Association, HPL, has developed general terms and conditions for recruitments and staffing, that exist to make responsibilities and rules clear to all parties. The terms take into account especially the rights of the employees and the job seekers. The General Terms and Conditions regarding the service in question are intended to be attached to contracts concluded between a private employment agency and its client company. The general terms and conditions for staffing can be found here, and the general terms and conditions for recruitments, here. The Finnish Private Employment Agencies’ Association, HPL, has also developed a collective labor agreement, which is applied on employees working in the office of the recruitment – and staffing companies themselves, and also on the employees that work for the staffing companies, but in their customers offices. The labor agreement can be found here. The members of the Finnish Private Employment Agencies’ Association want to highlight that they work with ethics and follow the rules and regulations and abide to the Finnish law. Since there is, and always has been, less honest companies in this sector, there has emerged a need to be able to identify those companies that act honestly and reliably on the market. The authorization process underlines the importance of taking care of the duties of an employer and to abide to the General terms and conditions and to the Collective labor agreement. There are strict rules to achieve authorization and authorized companies are monitored and checked regularly. Adiente is an authorized staffing company since 3.2.2011. Erica Flinck-Härkönen has founded Adiente in January 2005. Erica works as the CEO and works with customer responsibility in recruitments, long term staffing solution and head-hunting projects. Marika Högström-Andersson joined Adiente just a few months after the startup in 2005. 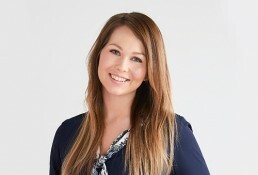 Marika works independently with her own customers, conducting staffing, recruitment and head-hunting projects. Marika is also responsible for personality analyzes and suitability assessments using the Extended DISC system. Caroline has a master’s degree (M.Sc. Econ.) from 2017. She started at Adiente in February 2018 as our Office Manager. Caroline takes care of different kinds of administrative and supportive tasks.